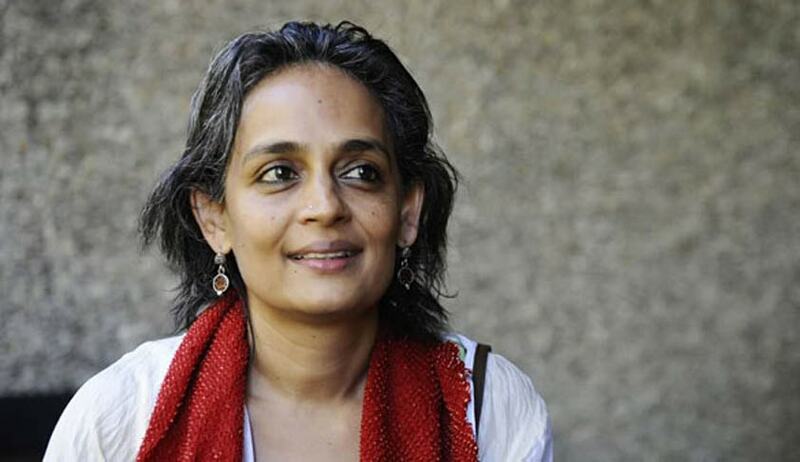 In a setback to celebrated author Arundhati Roy, the Supreme Court today refused to stay a criminal contempt notice issued by the Bombay High Court against her for her article in a weekly magazine questioning the continued incarceration of Delhi University professor G N Saibaba. The apex court also did not give her any relief from personal exemption from appearance before a single judge of the Nagpur Bench of the high court on January 25. Today the SC issued notice the State of Maharashtra and directed to list the matter after two weeks. The SC has also issued notice in the SLP filed by Prof. Sai Baba against the denial of bail. When senior advocate Chander Uday Singh, appearing for the writer, sought stay on her personal appearance, contending that the passion had been whipped up and effigies burnt, the court said it was passing the order after carefully considering the matter. “You should have no fear in appearing in court. You go and appear. We are here. We have issued the process and we are looking into it. We have thought about it carefully”, the bench comprising Justice J S Khehar and Justice C Nagappan said. When the counsel once again sought for personal exemption on Monday, the bench said, “We don't want to grant you or deny you”. The Bombay High Court had on December 23, 2015 issued the contempt notice against the author, for her views on the arrest of Saibaba and the rejection of his bail plea early last year. Gadchiroli Police had arrested Saibaba in 2014 for his alleged links with Maoists. He has been on bail since June last year. Roy had expressed her views on the arrest in an article published in a weekly magazine last year. The HC had said Roy appeared to believe that she was “above the law”. Terming her language in the article as “nasty”, the judge wondered if one could relate it to the awards she has won. “Calling the government and police as being ‘afraid’ of the applicant, ‘abductor’ and ‘thief’, and the magistrate from a ‘small town’, demonstrate the surly, rude and boorish attitude of the author in a most tolerant country like India,” Justice A B Chaudhari of the HC’s Nagpur bench had observed in the controversial. The Order was widely criticized by activists and legal experts.